Greetings in the precious name of our Lord and Jesus Christ. I am delighted to inform you of recent developments with our farm project. 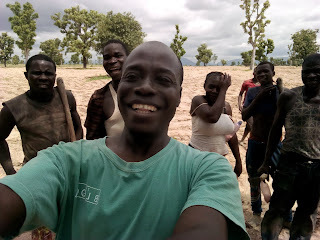 The big news is that we cultivated the land about the middle of May but then we couldn't get enough rain for planting. I was personally stretched with lack of rain as time was running out on us. We praise our God who gives rain in due season. (Zachariah 10:1; Lev.26:4). Indeed, the Lord heard our cry and sent rain. 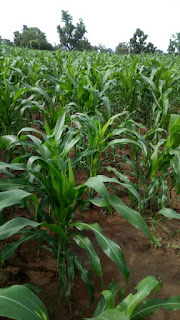 I have attached some pictures of the cultivation and planting of corn. Challenges: Our greatest challenge was delayed rainfall. Another concern is the threat from Fulani herdsmen. These herdsmen go about killing and maiming vulnerable villagers. Prayer points: 1. Ask God to give us bountiful harvest 2. Join us pray for the divine protection of our lives and crops. 3. Thank God for his grace so far. I thank you all for your prayers and encouragement. Thank you especially for making the farm project a reality. Double Donation through Matching Funds Available through SIFAT! Hey! 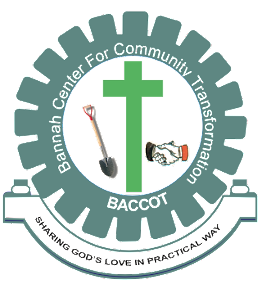 A generous and anonymous donor has decided to match funds for international projects through SIFAT (Servants in Faith & Technology), including BACCOT's project in Nigeria! So, if you give, starting today, your funds will be doubled! Money can be tight at times and, though the desire is there, the funds may not be, so take this opportunity to donate to BACCOT and have your funds go a longer way to help women and their families develop through this meaningful and sustainable work! Click here to donate, starting today (4/30/18), to have your funds matched through a tax-deductible donation. I write to express my deepest appreciation for your support towards the farm project. Below recent pictures of the corn we planted in May. Indeed we can see God's blessings already. Thought for the day: 2Kings 7:9 Around this time, four lepers are outside the city gate pondering their future. A future with no friends, families, and a community of their own. A long future bedevilled with leprosy. A future without hope: If they went into the city, they would starve.If they stay at the gate they will starve.If they go to the Syrians (Arameans) they may still be killed.They must choose between multiple bad choices:But, they feel compelled to do something: They choose the unknown over certain deathThis story is reminiscent of my brothers and sister from North East Nigeria. They have lost everything including their ancestral farmland. They choose the unknown over certain death. Their choice was powered by your generous financial donation. 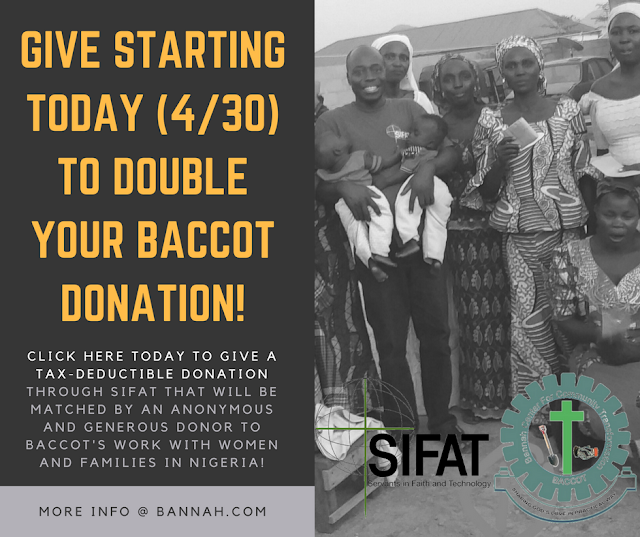 Connect with BACCOT through SIFAT!